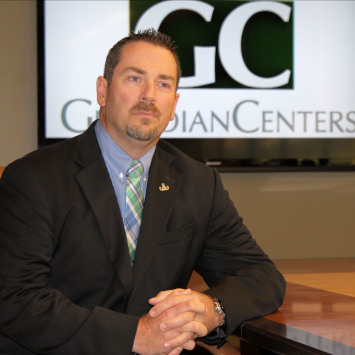 Geoff Burkart is the Founder and CEO of Guardian Centers and Guardian Centers of Georgia. 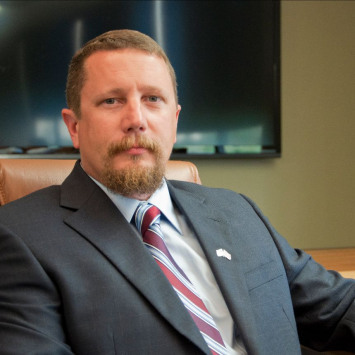 Geoff’s interest in emergency management and disaster response was shaped in 2001 as a Director with BellSouth’s aviation operations during the terrorist attacks on Sept. 11. Four years later, he witnessed the devastating damage from hurricanes Katrina and Rita as he coordinated emergency airlift operations and logistics through BellSouth’s response efforts. These experiences identified a gap in joint training and disaster preparedness now filled by the privately funded Guardian Centers of Georgia under Geoff’s leadership. Geoff retired from AT&T after a 30-year career leading aviation maintenance, security and operations. He was responsible for developing CONUS / OCONUS departmental security programs and training to prepare for man-made or natural disasters. He has since served on numerous advisory boards and associations including Raytheon Aerospace, Fairchild – Dornier, Cessna Aircraft, Honeywell Aerospace and the National Business Aircraft Association Technical Committee. Additionally, he served on the Federal TSA “gateway” airport access security steering committee and the Georgia Governor’s aviation task force. Geoff completed the Executive Management Program at Darden Business School at the University of Virginia and is a graduate of Alabama Aviation and Technical College. 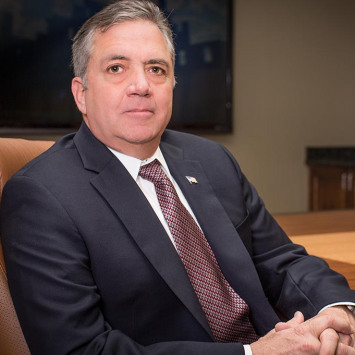 Rob brings more than 29 years of comprehensive defense industry expertise where he has served in a variety of operational and managerial capacities with increasing levels of skill and responsibility. Specifically, prior to joining Guardian Centers, he served for more than 13.5 years as a Senior Executive of a defense contractor who specializes in US government security training for a myriad of customers. This included managing two tactical training facilities, safely conducting high risk security training for thousands of students and for growing market share in multiple sectors. Prior to his defense contracting experience Rob served over 16 years as a federal first responder within the Department of Defense (Explosive Ordnance Disposal "EOD" Technician), U.S. Department of State and the Bureau of Alcohol, Tobacco, Firearms and Explosives (ATF). Rob is a veteran of the Cold War, Gulf War and is also a Service Disabled Veteran. In addition to his military EOD and ATF federal law enforcement experience Rob also supported the United States Secret Service (USSS) while providing protection for multiple Presidents’ of the United States and other US and Foreign Diplomats. Rob currently serves as the Guardian Centers Executive Vice President of Business Development and is directly responsible for developing and implementing a business development strategy focused on both financial and strategic objectives. 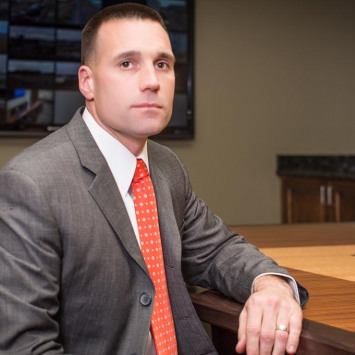 Tim brings 10 years of active duty experience with the United States Marine Corps specializing in the planning, training, exercises, and response operations. He started his career in the Marine Corps as a Logistic Officer, serving three tours in Iraq. His last tour was with the Chemical Biological Incident Response Force (CBIRF), Indian Head, MD. As a company commander, Tim was responsible for the worldwide deploy-able Initial Response Force. Tim supported, planned or participated in exercises from local level to National, Special Security Events such as the Vancouver Winter Olympics, National Boy Scout Jamboree, State of the Union address, Nuclear Security Summits, and G8 Summits. In 2010 Tim served on the planning team and was responsible for overseeing the deployment of a complete Initial Response Force to support Operation Tomodachi, in the wake of the devastating tsunami in Japan. D. J. Hathaway was assigned as Section Chief/Commander-Hostage Rescue Team in December 2014. He previously served as the Criminal and Crisis Management Assistant Special Agent in Charge (ASAC) of the FBI’s Richmond Division. Mr. Hathaway has worked in law enforcement for the past 34 years, which includes working at the corporate, local, state and federal levels. He entered on duty with the FBI in 1996. He was assigned to the Washington Field Office (WFO), where he worked on the Joint Terrorism Task Force and then was a founding member of the National Capital Response Squad (NCRS). He served as the Weapons of Mass Destruction Coordinator, established the office’s first Hazardous Materials Response Team, and was an active member of the SWAT and the Evidence Response Teams. Randall is a former US Army Field Artillery Officer. He retired after serving 27 years of active duty service to his country. While on active duty, he led soldiers from the Platoon Leader to Battalion Command level. He retired as a Colonel with 4 Combat Tours in support of Operations Iraqi Freedom and Enduring Freedom (Afghanistan). 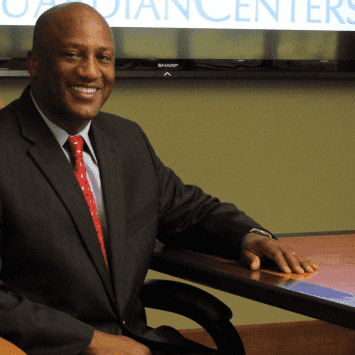 Prior to Guardian Centers, Randall worked as a Government Contractor and with the Georgia Chamber of Commerce. Randall is a graduate of Savannah State University, Savannah, GA (BA), Webster University, St Louis, MO (MA) and the United States Army War College, Carlisle, PA (MA). He’s also a graduate of the USMC Amphibious Warfare School, US Army Command General Staff College and the Joint Staff College. Doug brings over 33 years of experience in the Fire and Emergency Service, Emergency Management and CBRNE response fields. He retired from active duty as a Chief Master Sergeant after serving 31 years in the United States Air Force and the Florida Air National Guard. He has multiple deployments in support of wartime and peacetime contingencies CONUS/OCONUS. Prior to joining Guardian Centers, he served as the Air National Guard’s Region 4 Emergency Management Chief responsible for supporting Air National Guard bases throughout the southeast from Kentucky to Puerto Rico and served as an analytical and technical advisor to federal, state and local senior leadership during natural disasters, major accidents, and CBRN related events. He is a proven project leader and program manager with a record of excellence in generating small to large-scale exercises for military and civilian responders. Highly skilled in team and exercise development; interpreting training specifications and shaping and transforming force development. In addition to his military service, he worked as a State of Florida Assistant Fire Chief of Operations & Training at the 125th Fighter Wing, Jacksonville, Florida; a firefighter/EMT and Hazardous Materials Technician for Cobb County Fire Department, Marietta, GA; and as a firefighter/EMT for Jacksonville Fire and Rescue Department, Jacksonville, Florida. Doug earned his Bachelors of Science Degree in Emergency and Disaster Services from Thomas Edison State University. Vann is a project management professional (PMP®) with over eight years of industry experience in planning and execution of academic programs as well as training events from table tops to National Level Exercises. Vann holds multiple FEMA certifications, including the Homeland Security Exercise & Evaluation Program, and is responsible for planning, procedures and management of events, training and exercises while assisting in directing support staff during these events. Vann is also responsible for managing all US Department of State training activity at Guardian Centers to include the Worldwide Protective Services (WPS) program. With degrees in Psychology and Education, Vann began his career in the education field. After almost three years he left education to pursue project management and joined Guardian Centers as a startup company. 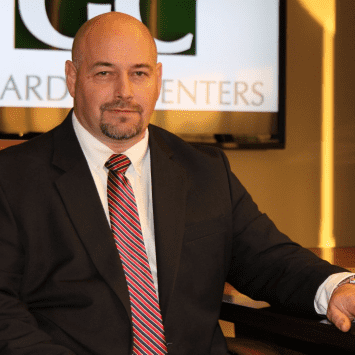 While being involved in the project very early, and as one of the first employees, he was instrumental in helping to stand Guardian Centers up as a company. Nathan is a highly organized, take charge professional with more than twenty years of operational CBRNE and Emergency Management experience. Experience includes prior service with the United States Marine Corps, Chemical Biological Incident Response Force (CBIRF), The Pentagon Force Protection Agency (PFPA) CBRNE Response Division, and Charles County Tactical Response Team (TRT). He has demonstrated experience in the coordination of Emergency Management and CBRNE Incidents, has excellent communication and presentation skills as well as experience in analyzing data which requires the ability to integrate complex and conflicting facts and arrive at well-reasoned solutions. Nathan’s experience encompasses a comprehensive knowledge of all-hazards emergency management (EM) and continuity of operations/continuity of government (COOP/COG) preparedness utilizing the National Incident Management System (NIMS) and National Response Framework (NRF) principles, procedures, and doctrine, as well as CBRNE/HAZMAT principles, administration and regulations. He has planned, organized and directed WMD team level operations and activities in response to emergency situations. He also has knowledge of all planning, response and operational aspects of Hazmat emergencies, including those associated with the intentional use of CBRNE materials as well as is familiar with the Department of Defense’s force protection and anti-terrorism policies and procedures and instructions. Scott is the Director of Technical Rescue for Guardian Centers. He has 25 years of public safety experience to include fire suppression, technical rescue, emergency medical services and law enforcement. Before becoming a part of the team at Guardian Centers, he was the operations commander at a public safety department. His duties included leading day to day operations, training staff and command of on-scene operations. During his career Scott had the opportunity to become one of the founding members of the Georgia Urban Search and Rescue Program. He attended training to become Pro-Board certified in the technical rescue disciplines. As a member of this team, Scott was involved in such events as the G-8 Summit protection detail in Sea Island, Georgia and the rescue effort for Hurricane Katrina, in South Louisiana. He continued his training to become a pro-board certified instructor, evaluator and proctor so he could train and certify new team members. He is still involved with the team and currently serves on the training committee. In addition to full time employment, Scott worked part-time for 20 years for a hospital based emergency medical service where he worked on an advanced life support ambulance. This led to joining a law enforcement response team where he still serves as an on call tactical medic. 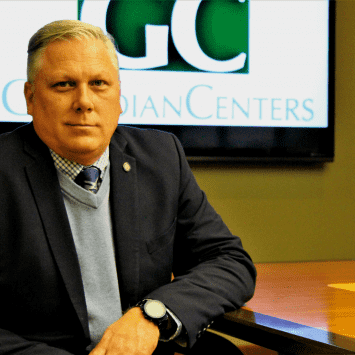 Scott continues striving to bring his experience to the Guardian Centers team to deliver real world training and exercises, thus providing an enhanced capability for future responses. Mr. Lavender brings over twenty years of faithful service in the United States Marine Corps. He is a motivated, highly-capable professional with experience in the complex environment of Consequence Management Operations. Extensive experience leading planning teams and supervising the execution of operations for Chemical, Biological, Radiological, Nuclear, and High-Yield Explosive (CBRN-E) related training and real-world events. Exceptional analytical ability in implementing and managing plans, policies, and procedures during Humanitarian Assistance / Disaster Relief incidents. He is an experienced platform instructor in CBRN Defense, Anti-Terrorism/ Force Protection, and Combat Marksmanship.